Warrior Watch Snow Removal System - PRIME AE Group, Inc.
Winter is a busy time for the Department of Public Services (DPS) in the City of Columbus, OH. To ensure a safe journey for citizens, DPS maintains ice- and snow-free roads. The PRIME3SG GIS team helped build an application that utilizes GPS-enabled snow plows to measure snow removal progress throughout the City of Columbus. Each plow sends its position and plow spreader status to a central server every 15 seconds. This database supports the dispatcher’s operator in monitoring the location of each truck, as well as which streets have been plowed via a browser-based application. This application also produces reports on route completion, customer service requests, and truck activity summary. 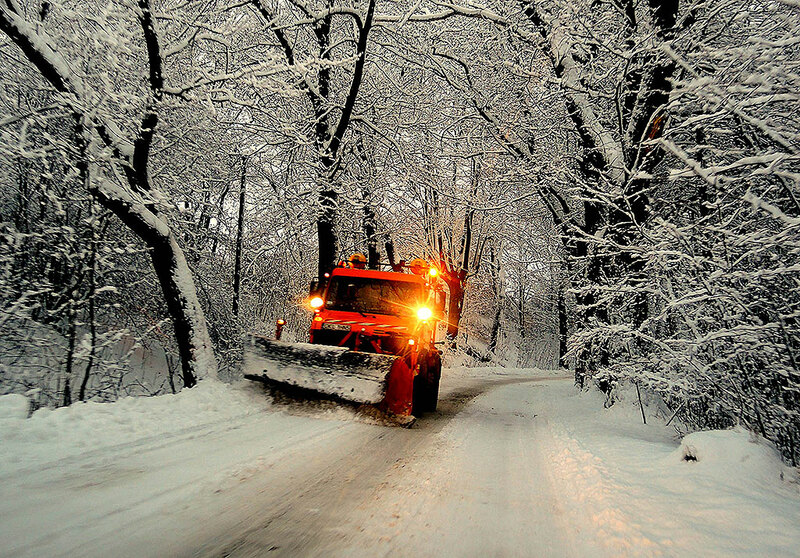 In addition to the tracking snow plows, PRIME3SG developed and deployed a public facing application, named Warrior Watch, that allowed users to see which streets were scheduled to be plowed, based on priority, as well as which streets have been treated. This interface is accessible from The City of Columbus’ website, https://warriorwatch.columbus.gov/ww.